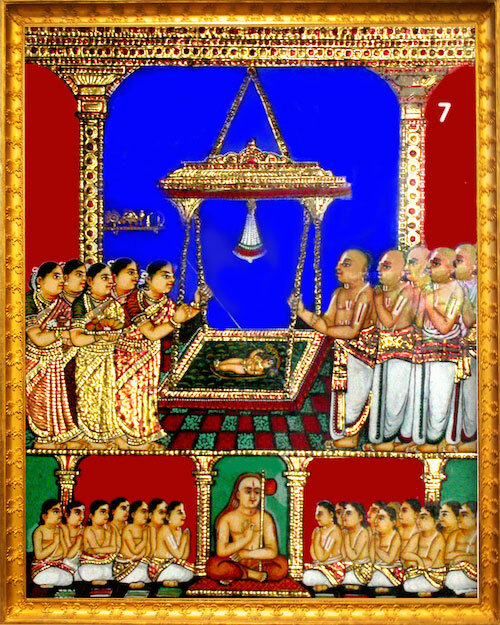 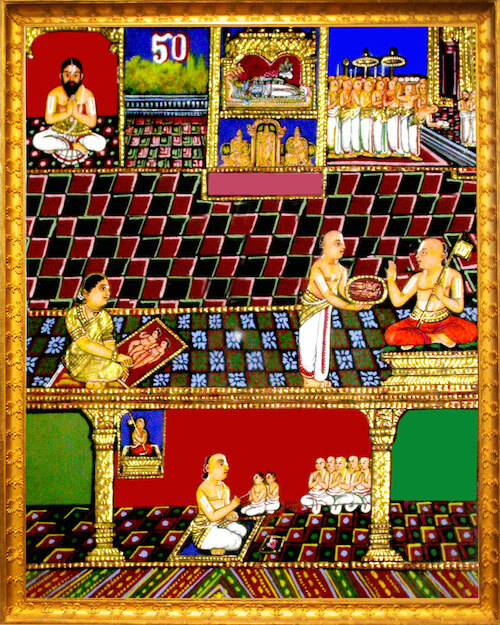 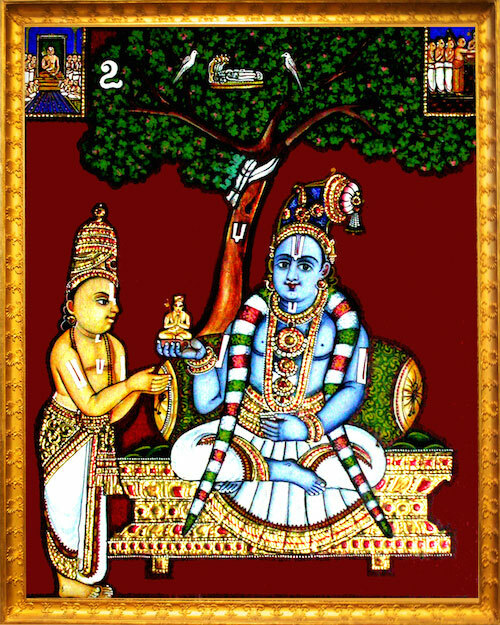 Swami Ramanuja (1017 A.D – 1137 A.D) is an epitome of nobility and greatness. 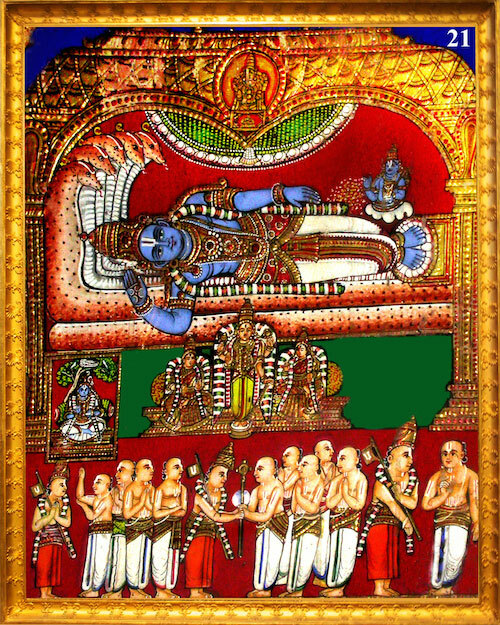 He was a great saint, revered preceptor, illustrious scholar, consummate visionary, metaphysicist par excellence, eminent philosopher, ocean of compassion, redeemer of the masses and foremost social reformer. 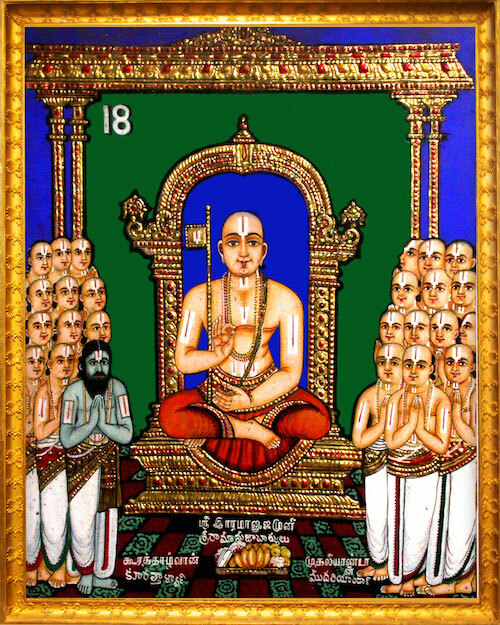 Swami Ramanuja’s greatness as the guardian and redeemer of Sanathana Dharma - the Vedic way of life & living - is immeasurable. 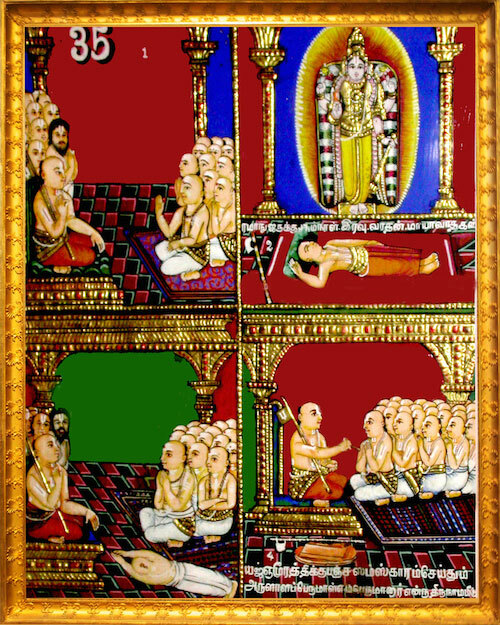 For, were it not for him, our realization of the Lord with all His auspicious attributes and our understanding of the glorious universe (Lord’s creation) would have been incomplete .Thus , we should be eternally grateful to the supreme Master for the scriptural treasure that he bequeathed to all of us and further, for throwing open the essence of all scriptures to the entire universe – all irrespective of caste, gender or creed - the Prapatti Marga (path of complete surrender with unwavering love and devotion to the Lord) , which had been the preserve of only a chosen few before the life and times of Ramanuja. 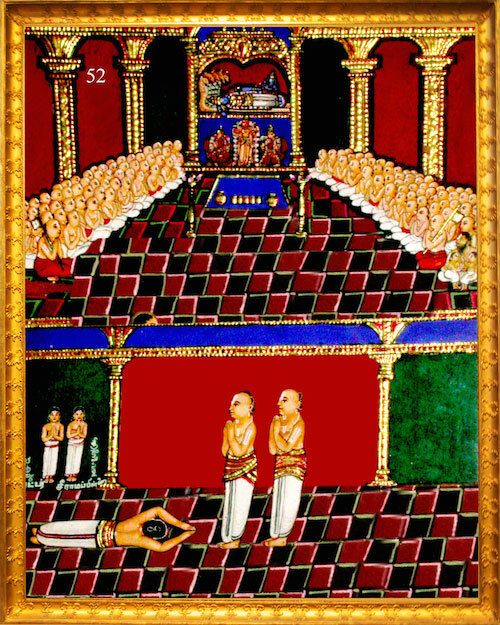 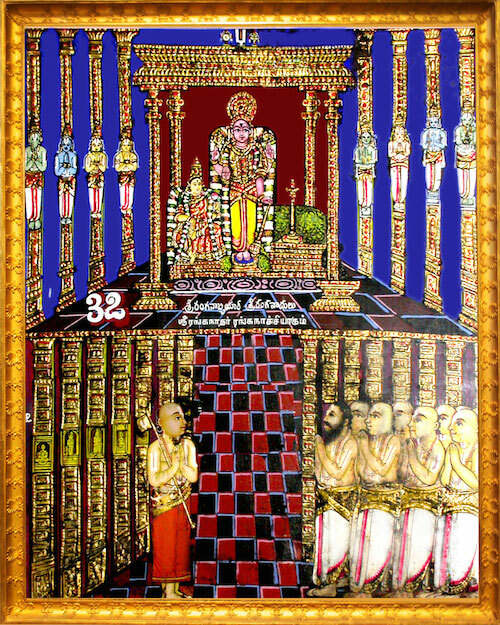 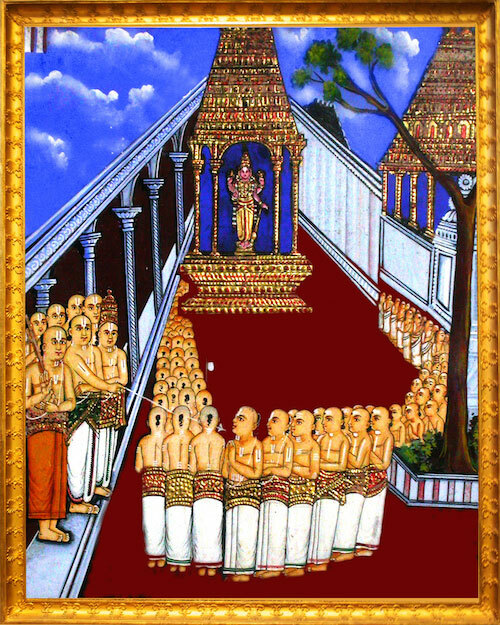 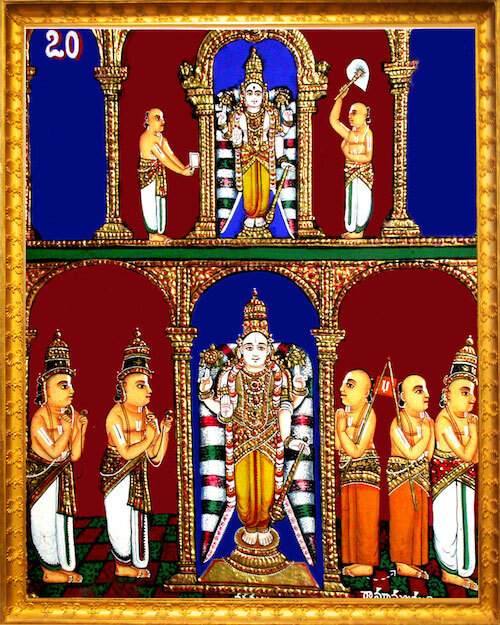 This book endeavours to provide memorable glimpses of the life and times of Swami Ramanuja, the preceptor of the Universe, through a series of beautiful Tanjore paintings. 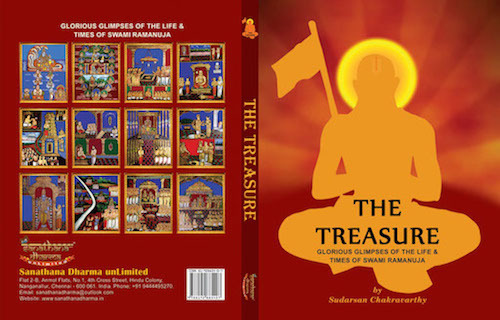 This pictorial tribute intends to serve as a humble contribution towards understanding the greatness of Swami Ramanuja, his glorious life and the eternal relevance of his teachings to mankind. 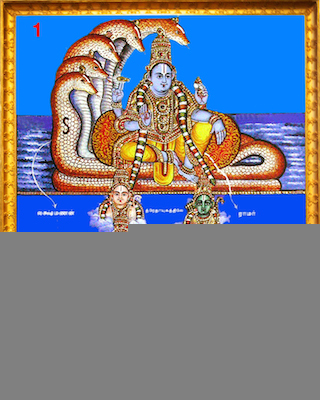 Please read our FAQ to learn more about our shipping process etc.